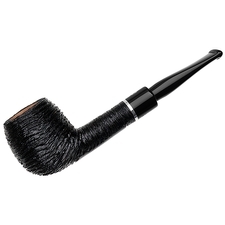 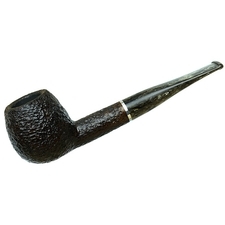 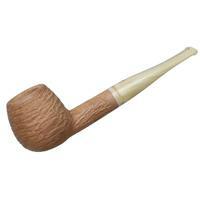 Savinelli's Cashmere line presents the marque's classic shapes in a unique rusticated finish. 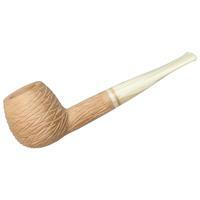 Alluding to the ever-so-soft goat hair textile, it's not a craggy or rough treatment; instead, it actually takes on the texture of freshly sanded wood — soft, yet still quite natural in hand, with the light grooves emulating the look and feel of threads. 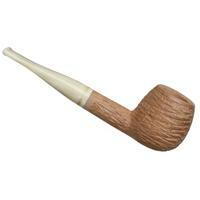 As a natural finish, it should develop a charming patina with the years as well.